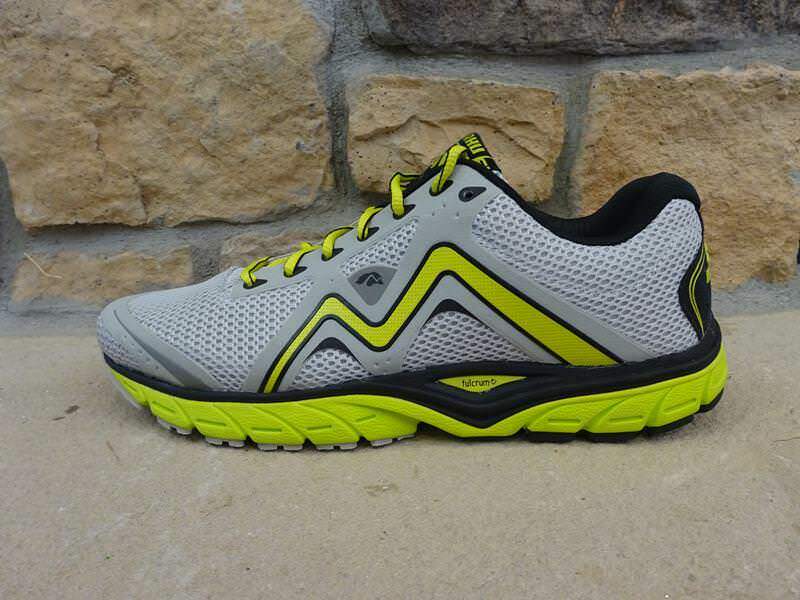 The Karhu Fast5 Fulcrum is a light-weight neutral running shoe that provides runners with a solid platform offering plenty of cushioning and a smooth, quick transition throughout the foot strike due to the newly integrated full-length Karhu Fulcrum which increases a runner’s efficiency. The Karhu Fast5 Fulcrum is designed for runners who are looking for a neutral shoe that offers a comfortable and secure transition throughout the foot strike. This was my first time running in a pair of Karhu shoes and I was eager to take the Fast5 Fulcrum out of the box and take them for a run. From the very start, the shoes offered a refreshing running experience and did not disappoint. The shoes have the look and feel of a light-weight trainer as they come in around 10.4 oz. I was pleased that the Fast5 Fulcrum, given the clean and simple design, delivered a stable, secure and comfortable fit. The full-length Fulcrum introduced in this version was a major update and enhanced the running experience providing a smooth, efficient and soft ride. 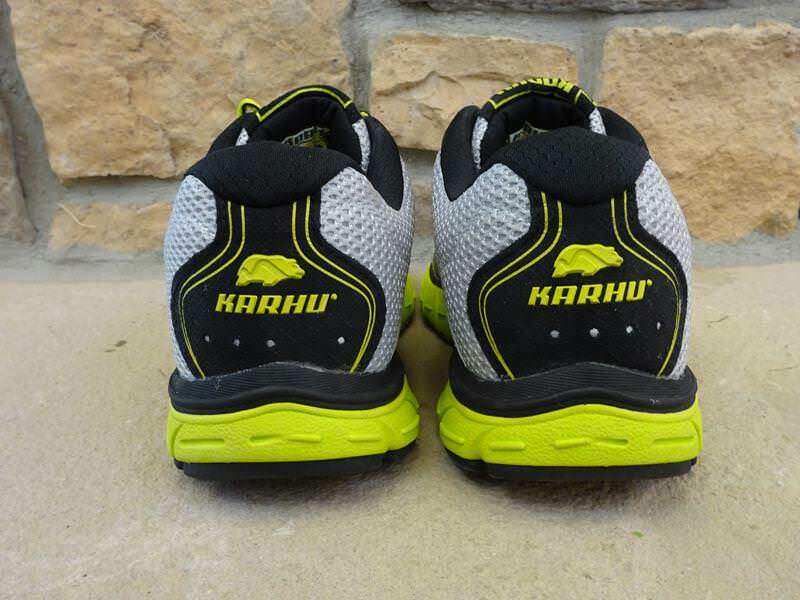 The Karhu brand has a long history as a company of providing quality shoes and gear to those who are active in a variety of sports as well as the outdoors. The updates with this latest version of the Karhu Fast5 Fulcrum continues the firm’s long tradition of updating and delivering shoes for runners that spans the spectrum of running capabilities and specialties. 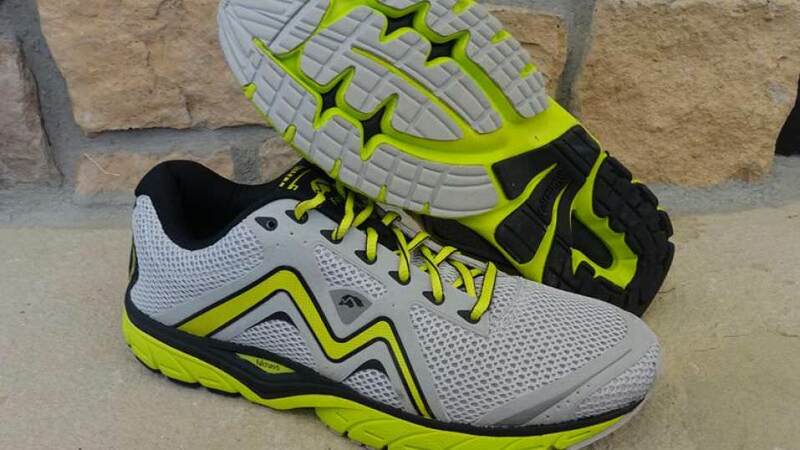 The sole unit design of the Karhu Fast5 Fulcrum is what sets it apart from so many other shoe models. The key update to the latest version of this shoe is the integration of the full-length Fulcrum from heel-to-toe from the old forward Fulcrum. The Fulcrum is not the sole unit by itself but rather is a Karhu specific layer that sits on the sole unit to enhance a runner’s experience by allowing the foot strike to move in a more forward direction with less effort. The Karhu Fulcrum Technology is based on increasing a runner’s efficiency by eliminating or limiting the amount of wasted energy a runner experiences in each foot strike. Since the Karhu Fulcrum Technology is new to the Fast5, I included the diagram below to show “how” the Fulcrum increases a runner’s efficiency depending on the various foot strikes. Along with the updated Fulcrum, the midsole unit continues to maintain the compression molded EVA material giving the sole unit a pure feel which provided a smooth and comfortable foot strike on each run. The cushioning built into the sole is sufficient but does not take away from the efficiencies which are to be gained via the full-length Fulcrum. The outsole is designed again with simplicity in mind as it has an EVA Outsole with compression molded rubber to help with overall cushioning. The forefoot benefits from blown rubber to help the Fulcrum throughout a runner’s gait. The standard padded heel design along with materials used in the forefoot and midsole continues to give the shoe stability and cushioning allowing the runners to benefit from a smooth ride. The design of the Fast5 Fulcrum comes with a simple and standard tread pattern from heel-to-toe. This version of the Karhu Fast5 Fulcrum comes with a 10mm heel-to-toe offset which is slightly less than the previous model and is more in-line with those shoes who are in the same neutral shoe category. The Fast5 Fulcrum is designed with an upper which allows for a stable and secure fit. The upper is made of a light-weight mesh material which surrounds the foot giving it a comfortable fit from the moment you put the shoe on. The shoe has a snug, secure feel the moment you slide it on your foot. A unique feature that gives the shoe some of its stability and support is the synthetic and integrated “M” logo on both sides. The synthetic overlay is connected to the shoes lacing adding stability that those runners who are looking for neutral shoes while providing a personalized, secure and comfortable fit. Karhu has a history of keeping the upper clean and simple and they continue this with the latest version of the Fast5 Fulcrum. A little history and fun fact about Karhu is that the logo “M” which originates from the word “Mestari” means “champion” in Finnish. The current version of the upper provides a comfortable, secure and smooth ride accomplished through a “no frills” approach to the overall design of the upper. This is specifically achieved through the seamless mesh used along with the integrated overlays which provide adequate stability and control throughout foot strike. 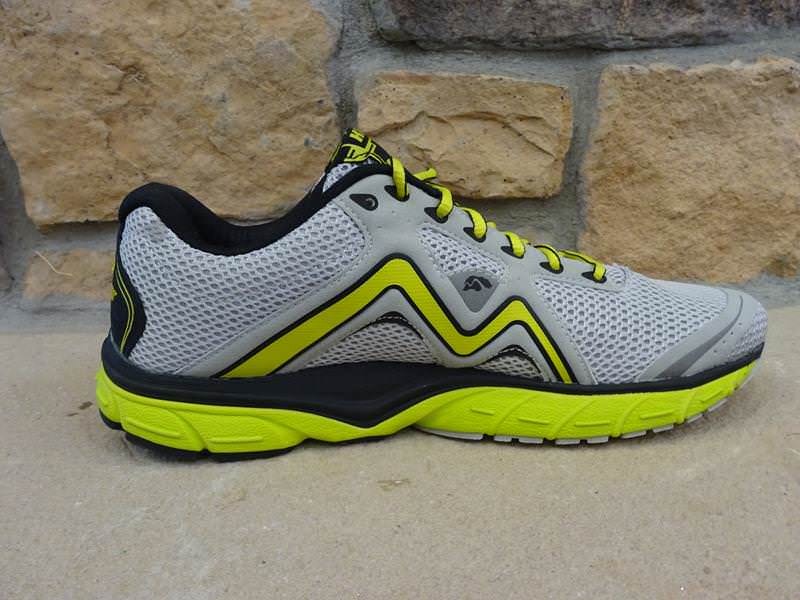 The new Karhu Fast5 Fulcrum is a neutral everyday trainer providing a stable and comfortable fit. With the Karhu Fulcrum Technology that runs from heel-to-toe along with the seamless mesh upper and well-designed sole unit, the final result is a comfortable and quick transition throughout the foot strike. 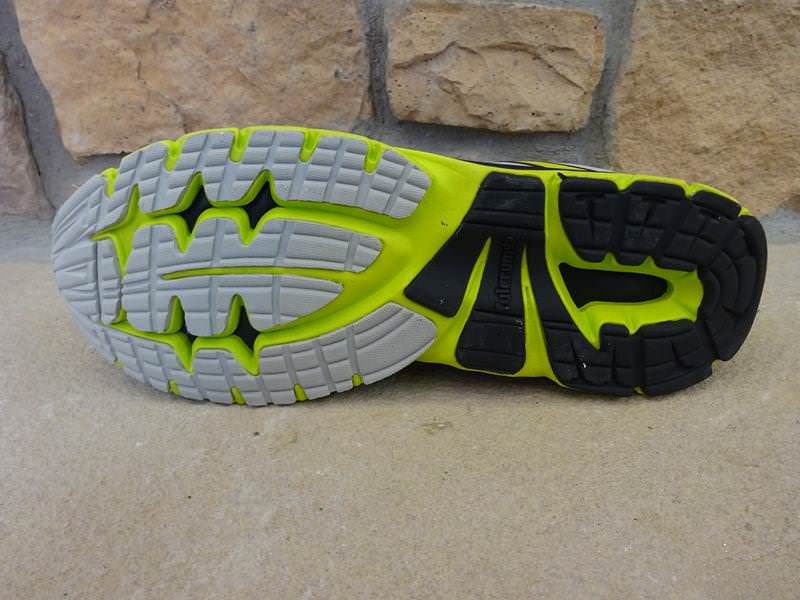 The Fulcrum allows the runner to experience a more efficient forward movement throughout the entire foot strike. The Fast5 Fulcrum feels light-weight and fits securely around the entire foot while providing reliable stability and sufficient padding throughout the sole allowing it to handle short speed workout or longer higher mileage outings. 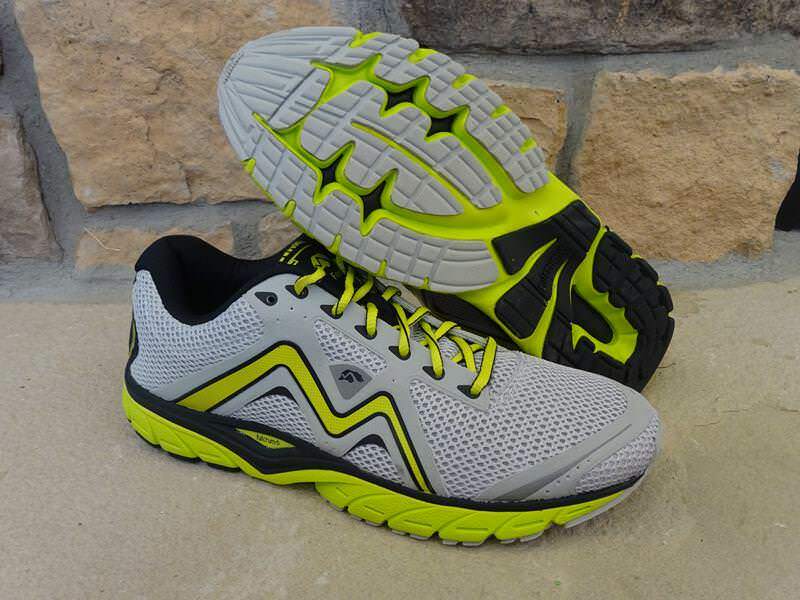 The company’s “keep it simple” approach to the upper and the sole unit works while they focus on what will enhances a runner’s experience in their shoes through updates such as incorporating the Karhu Fulcrum Technology. The Fast5 Fulcrum is a quality shoe that can handle quick, speed sessions or long higher mileage runs all while providing for a more efficient transition throughout the stride. 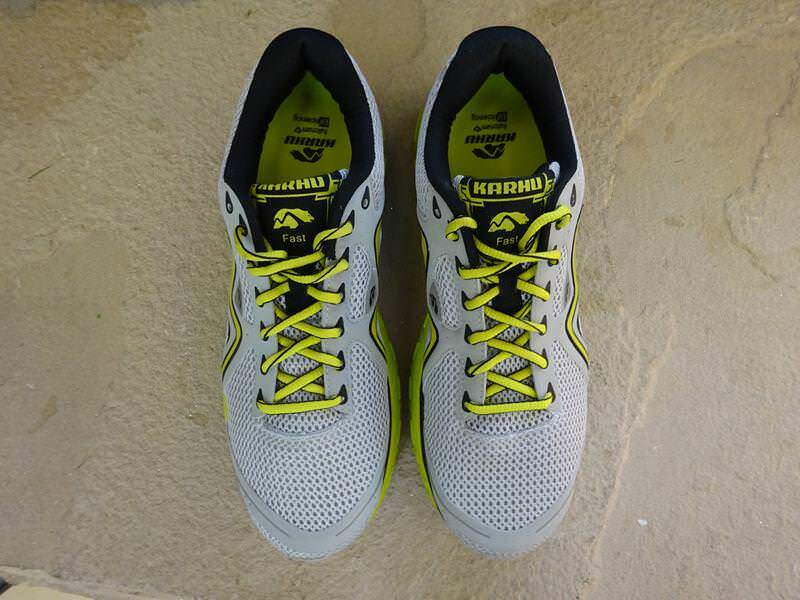 We thank the nice people at Karhu for sending us a pair of Fast5 Fulcrum to test. This did not influence the outcome of the review, written after running more than 50 miles in them. Nice review. I’ll be doing one on these very soon. Otherwise, a very competent, smooth-riding shoe that would make a decent everyday trainer for a lot of folks. Thanks for you comments on your experience with the shoes. I hope you are enjoying running in them. I am, so far. I think the durability will be good, and the base of support is nice for a shoe not explicitly designed as a stability shoe. I agree. It is a solid daily trainer. Karhu seems go to with less is more approach and it works. The shoe has just enough stability, feels lighter then it is and the upper is simple, breathable and fits. It makes for a good trainer.